So far we have been mostly considering what we would like to do for a project. Somewhere along the way we must consider if it can be done and how to do it. Certainly, those two issues are in the undercurrent of thought all along the way, aided by experience. Now the construction details, functional specifics, and the available skills and tools have to be dealt with for sure. The discussion of these issues has been intentionally placed here in the sequence, not at the beginning, to encourage free creativity in developing ideas. If we were to start with directions for how tables have always been made, for example, this might inhibit new ideas, especially for one-of-a-kind work. However, the price for this freedom in producing ideas and concepts is that some will, upon research, prove impractical or impossible. Thus, in reality, the creative stages overlap and change order; there is no single correct path. 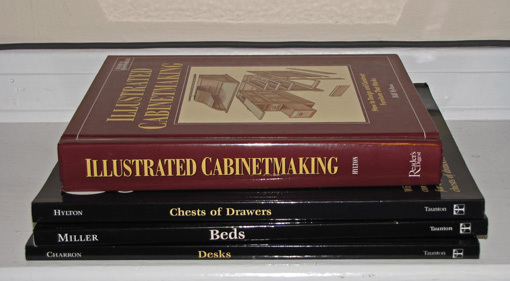 Bill Hylton’s Illustrated Cabinetmaking is a great place to start. Thinking of making a dining table? The chapter on that starts with measurements for leg room, elbow room, and so forth. Then he presents drawings and construction details for 14 ways of making a dining table, including leg and apron, trestle, pedestal, etc. I also like Taunton’s project book series which includes Chests of Drawers, Beds, Desks, etc. Fine Woodworking and Popular Woodworking magazines’ back issues (both available on disc) are excellent sources. Will Neptune’s articles in FW are worth their weight in gold. Though I do not do reproduction furniture, I’ve spent many hours in years past studying Franklin Gottshall’s books. Since I design all of my own work, I’m not following the plans in these publications, but I do try to understand as much as possible about how things were successfully done by others. If a woodworker is going to break from traditional construction, it behooves him to comprehend why it was done that way in the past, and carefully think through, and possibly trial run, any novel approaches. For the wall mirror, the example piece for this series, I researched mirror glass – quality, thickness, beveling, etc. I also checked into how the mirror was secured into the frame in a few different published plans. Do you have the skills to make the piece you want? I think it is important to not overreach, get stuck in a project that you cannot handle, and create a disappointment. (Yea, been there, done that.) 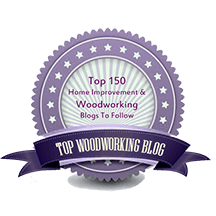 On the other hand, this is a key stage where you can improve as a woodworker by researching and practicing new skills in preparation for a project. Perhaps you want to learn bent lamination technique, a padded shellac finish, or maybe just a new way to hold work on the bench. 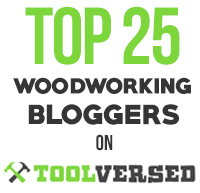 Let the requirements of the piece that you envision spur you to be a better woodworker. Here’s how. Finally, you may have to, ahem, buy some new tools. This is the best situation in which to buy them – the need to use them to actually make something. In the process of learning woodworking and furniture design, I, too, have found it indispensable to absorb information and inspiration from lots of books. For me the list includes John Kassay’s “The Book of Shaker Furniture” which is full of fantastic drawings and comments on the whole range of their wood working legacy, Alan Peter’s “Cabinetmaking, the professional approach,” the Taunton Press series by Tage Frid on “Teaching Woodworking,” “The Soul of a Tree” by George Nakishima, and the great book on Sam Maloof. Even if you’re not going to build a particular piece, it is very valuable to mentally go through the step as if you were. More valuable still is trying to build very close to what you see in a book or magazine and then compare the results. Many “a slip twixt the cup and the lip”… sometimes painful but always a useful endeavor. Thanks for pointing out more excellent sources and how you use them. Hi Rob……….caught up now and enjoying the last posts. I love how you mention the placement of the references here, rather than sooner in the design process, so not to interferr with generating ideas. Like you, I’m in agreement that new form has suffered to the quick alteration of a provided plan. It’s funny how things pop up and for what reason. The Peter’s book that Tico references above was just used as a reference for an indivdual with limted tools. Interesting how no 2 design processes are the same. I’m hoping that when you are done, that someone out there realizes, this isn’t rocket science, its simply working an indivdual process.